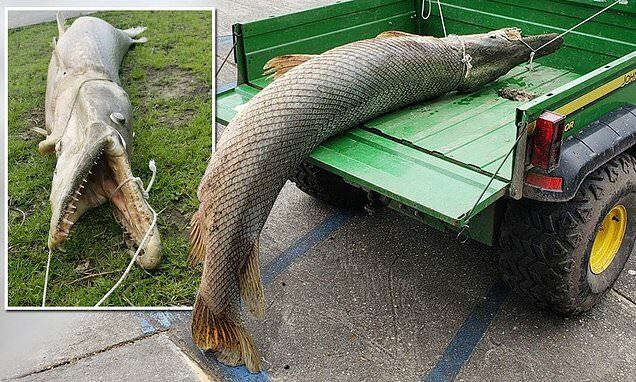 An enormous, dead alligator gar was pulled from a lake at a park in New Orleans after the fish began creating quite the stink. Officials dragged the creature from the lagoon at Lafreniere Park in Metairie. Its not cleat how long it had been lying in the water rotting away, but a spokesperson for the park said the alligator gar was discovered after park employees smelled a foul odor and eventually tracked the revolting scent to the fish.